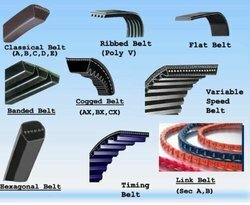 Widely stated to be a marvel of polymer engineering and state-of-the art manufacturing technology of our manufacturing associates, this V Belts range can be easily availed from us. Tested over compliance to the standards, this industrial mechanical part offers durability and optimum performance. 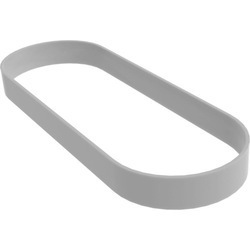 We offer two kinds of belts such as Classic V-Belts and Space saver wedge belts. We are highly indulged in the process of supplying to our customers a wide range of metal products and here in we are offering Cogged Belts. 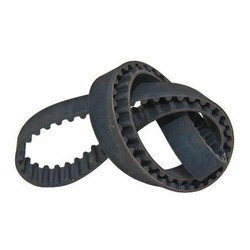 These belts are raw edged and this makes them suitable for industrial and heavy duty earth moving machinery applications. Procured from the most reliable sources, customers can easily avail this range from us at the most comprehensive prices. 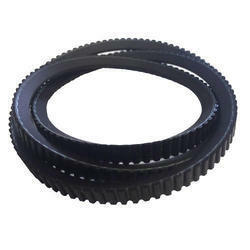 Customers this high quality Hexagonal Belts range from us at comprehensive prices. Suitable for applications demanding the belt to run in both directions for power transmission, this belt range is made from quality material. Used where many pulleys are located in one plane and the direction of rotation of some pulleys is to be reversed without crossing the belts. 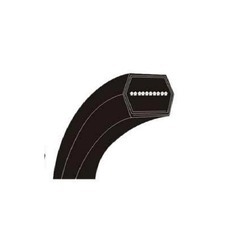 Availed from the most reliable vending associates of ours present in the market, this FlatBelts is offered to the customers with complete guarantee of quality. We have well tested this range upon various quality parameters in order to offer the customers a value for their money. Looking for Industrial Belts ?